Israel Homeless Association helps professionals and families that have been made homeless due to the collapse of Israel's socioeconomic safety net. 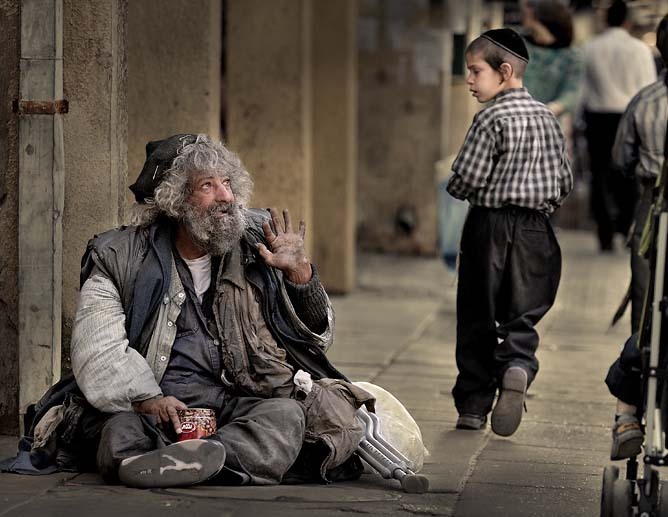 Israel Homeless Association (IHA) is one of the premier micro-charities in the nation. Founded by Wall Street professionals, IHA addresses the desperate needs of the most vulnerable sectors of the population falling through the cracks of Israeli bureaucracy. Economic upheaval in Israel has had catastrophic consequences for a significant portion of the population, particularly in peripheral regions like the Negev and upper Sharon. The Organization for Economic Cooperation and Development (OECD) ranks Israel as having one of the highest rates of poverty among its members with approximately 21 percent of Israelis living under the poverty line (2016). Despite this shocking figure, Israel has no concept of transitional housing for families in crisis. There are no facilities for women and children at all, and none for men requiring short-term housing during a period of acute economic crisis. Shockingly, there are only 28 beds for homeless men from Beer Sheva to Eilat. The entire Beer Sheva tent community could be housed for under US $200,000 but the government spends US $70,000 to secure court orders to vacate the tent city – keeping the homeless invisible is a greater bureaucratic priority than housing half of them with the same capital allocation. There is a stigma attached to homelessness in Israeli society. There is also widespread denial of poverty in the community. Exacerbating this problem is the policy decisions of the present Administration to transfer responsibility for most of the social needs of the population to NGO's and non-profit charities. IHA’s focus is exclusively on professionals and families that have been made homeless due to the collapse of significant portions of the Israeli social benefit structure. For example, fathers earning less than the cost of transportation to work and mothers living in tent cities with their children while they look for gainful employment. US $5,000 will house an entire family for a year. US $7,000 ensures housing, heating and food. All NGO and non-profit donations in excess of US $25,000 qualify to be matched by grants from the Ministries of Housing and Welfare. A complete Family in Crisis Centre for an entire community can be secured for $25,000. For the third consecutive year, IHA has clothed every person registered with the Homeless Offices of Beer Sheva and Eilat. With the assistance of Members of the Knesset, namely MK Effi Eitam and former MK Avishai Braverman, IHA succeeded in relocating seven families living in a tent city in Beer Sheva subject to an evacuation order. There is still much work to be done as other families were forcibly removed, resulting in a woman’s suicide. Over $7500 worth of toys has been distributed to 130 displaced children in the Negev region. This was described by Miri Becker, Director of the Ministry’s Children’s Services in the Negev, as “one of the most psychologically important contributions yet received” from the perspective of the children.